The Lillehammer region is known to the world for the Olympic winter games in 1994 and the Netflix series Lilyhammer. Go there for real and take part in entertaining skiing and other nature based and cultural activities. The Lillehammer region has a special place in the hearts of many sports fans, thanks to the Winter Olympics in 1994 – one of the largest and most successful sporting events in modern Norwegian history. Today, Lillehammer is a certified Sustainable Destination, a seal of approval given to destinations that work systematically to reduce the negative impact of tourism. Many of the Olympic arenas are still in use and open to visitors, making the region a popular destination for winter sports enthusiasts. In the winter season between November and April, there are plenty of opportunities for both cross-country and alpine skiing. , such as Maihaugen, Lillehammer Art Museum, and the Norwegian Olympic Museum. 13 kilometres outside of the city centre lies Hunderfossen Family Park, with more than 50 activities and attractions for all ages. , such as Maihaugen, Lillehammer Art Museum, and the Norwegian Olympic Museum. 8 miles outside of the city centre lies Hunderfossen Family Park, with more than 50 activities and attractions for all ages. The region, which consists of eight municipalities, offers lots of things to do outside of Lillehammer as well. Learn more about Norwegian culture, history and food traditions, stay at historic farms dating back to the middle ages, and enjoy local food prepared with fresh ingredients. There are many ways to get to and around the region with public transport. You’re also welcome to explore the great outdoors in several scenic national parks, such as Rondane, Jotunheimen and Langsua mountain. Here, you can go hiking, cycling, skiing, and horseback riding in the daytime, and sleep under the stars at night. 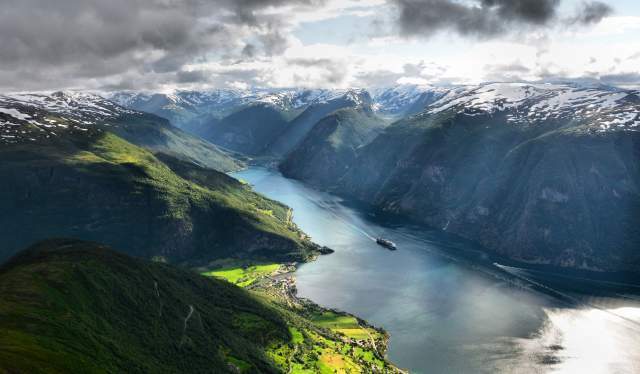 These areas give you the very best of the Norwegian countryside – from high mountains to forest-clad hills and cultural landscapes. Find more inspiration on Lillehammer’s official website. Enjoy the things the Lillehammer region has to offer, like the Olympic bobsleigh track, rafting in Sjoa, alpine skiing or downhill biking in Hafjell, a trip to Peer Gynt’s kingdom or a visit to one of the area’s many museums. Choose from several hotels in Lillehammer city centre, stay in an old cotter’s farm in the Gudbrandsdalen valley, or spend the night in a snow hotel. From festivals and cultural events to outdoor activities and sport arrangements – find the best things to see and do in the Lillehammer region. From the back of a horse or the seat of an off-road bike – there are many ways to explore Lillehammer. With so many cold months during a year, one must seize the opportunity to be outside when the weather is warm. Here are some good tips to museums where you can spend and enjoy most of the time outside. In two decades, ice hotels have become a hot travel trend in northern latitudes. In Norway you’ll find several, and not all of them requires a long, costly expedition to reach. Get in-depth travel information at Lillehammer’s official website. The regional train service between Oslo and Lillehammer runs between 12 and 20 times daily. The train between Oslo and Trondheim stops in Lillehammer. There are regular bus connections to Lillehammer and other destinations in the area from Oslo, Trondheim and Bergen. Read more about bus transport in the Lillehammer region. Lillehammer is located around 2 hours from Oslo, 5 hours from Trondheim, and 5 hours from Ålesund. Lillehammer skysstasjon, Ringebu Skysstasjon and Vinstra skysstasjon are the main hubs for buses, trains and taxis in the area. There are frequent bus services from Lillehammer city centre to most of the city’s attractions, including the ski resorts and the family park Hunderfossen. Read more about local transport in the Lillehammer region. Oslo Airport is Norway’s national air hub, located about 1 hour and 40 minutes by road from Lillehammer. All trains between Oslo and Lillehammer stop at Oslo Airport. There is also a bus connection from Oslo Airport to Lillehammer and other locations in the Gudbrandsdalen valley. January and February are the coldest months, with an average temperature of -8°C in the valley areas and -10°C in the mountains. June and July are warmest with an average temperature of 15°C. February and April are the driest months, with an average 32 millimetres of rain or snowfall. August is the wettest month. January and February are the coldest months, with an average temperature of 17°F in the valley areas and 14°F in the mountains. June and July are warmest with an average temperature of 59°F. February and April are the driest months, with an average 1.2 inch of rain or snowfall. August is the wettest month.